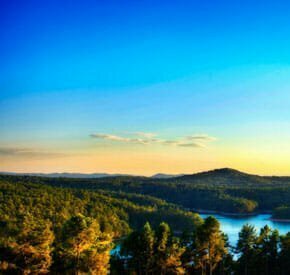 The nation’s largest gated community is located in Hot Springs, Arkansas. Abundant natural resources including mountains, lakes and rivers grace this state along with charming small towns. Take a road trip to Arkansas. Select Arkansas communities to receive Discovery Travel information.